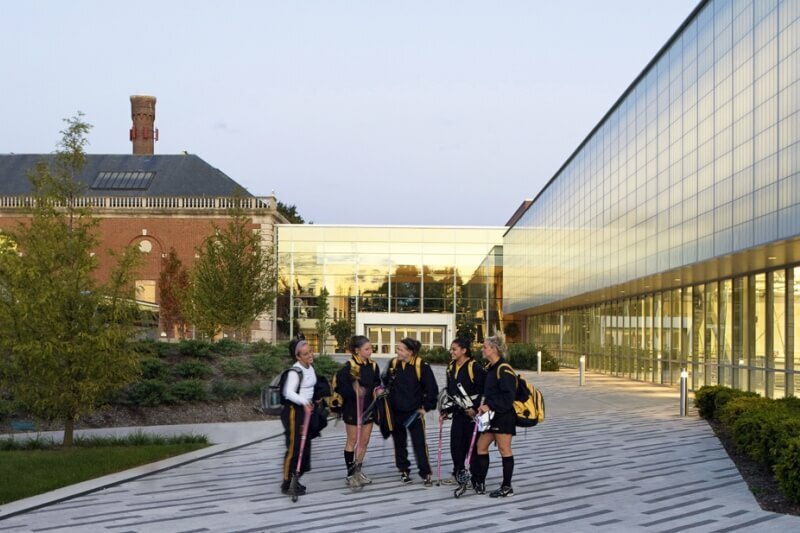 One of the most famous universities in the United States, Adelphi University in New York offers international students several types of scholarships based on academic, creative and athletic achievements. Scholarships, ranging in size from $ 6,000 to full payment for training, can be obtained by undergraduate and graduate students. Applicants or undergraduate students must submit the results of a SAT test or an international English proficiency test TOEFL iBT (80 points) or IELTS (6.5 points). It will also be necessary to write an essay with a volume of no more than 500 words per one of the proposed topics. To see, in what cases it is required to hand over SAT, it is possible here. Detailed information about the requirements for applicants can be found here. To receive a scholarship to study under the Master’s program, candidates must provide a TOEFL or IELTS language certificate, a bachelor’s degree and an excerpt from the university with a title, a description of the subjects and grades for each of them. This document must be issued in two copies (one in the native language, the second in English) on the official letterhead of the university and contain the signature of the authorized person and the stamp of the educational institution. From all future fellows are expected confirmation of their academic, creative or sporting merit. Those wishing to study in the bachelor’s degree can apply twice a year: until May 1 and until November 1. For graduate students, the deadline depends on the specialty. You can find out the terms of submission of documents on the official website of the university. There is no special application form for the scholarship. All applicants are automatically considered as potential fellows. In case the student entered the university, on the basis of the submitted documents, the administration of the university decides whether to grant him a scholarship. Application form for admission to the baccalaureate and a master’s program.